Registration for the interactive hearing taking place on Thursday, 5 July ahead of the UN High-Level Meeting on NCDs is now open. Only representatives of organisations with ECOSOC consultative status or organisations with special accreditation to attend the hearing will be able to register to attend. Each organisation is able to register up to five (5) participants to attend the interactive hearing. Registration for the interactive hearing closes on Thursday 21 June. The interactive hearing is convened as part of the preparatory process for the UN HLM on NCDs, and is organized by the President of the General Assembly with the support of the World Health Organization. The hearing will be a one-day meeting and consist of opening and closing segments and four interactive panel sessions; each panel session will include an interactive component for participants to speak from the floor. The hearing is an opportunity for civil society and all stakeholders to share their priorities for the outcome of the UN HLM with Member States, and to provide feedback on the zero draft of the outcome document. A preliminary concept note for the interactive hearing will be posted online, here. Note: Registration of the UN High-Level Meeting on NCDs on Thursday 27 September will open at the beginning of July. The list of accredited orgs for hearing and HLM on NCDs can be found here. This table provides a summary of the commitments outlined in the Political Declaration of the 2018 High-Level Meeting on NCDs held on 27 September 2018. NCDA CEO Katie Dain this week suggested 5 ways civil society could advance the NCD agenda following the 2018 High-Level Meeting on NCDs. Read what Sir Trevor Hassell, President of the Healthy Caribbean Coalition said on a multistakheholder panel at the UN HLM on NCDs on 27 September on how to mobilise civil society to scale up national NCD responses. The UN HLM on NCDs concluded last Thursday 27 September, with 23 HoG/HoS and 55 MoH attending and speaking at the UN HLM. 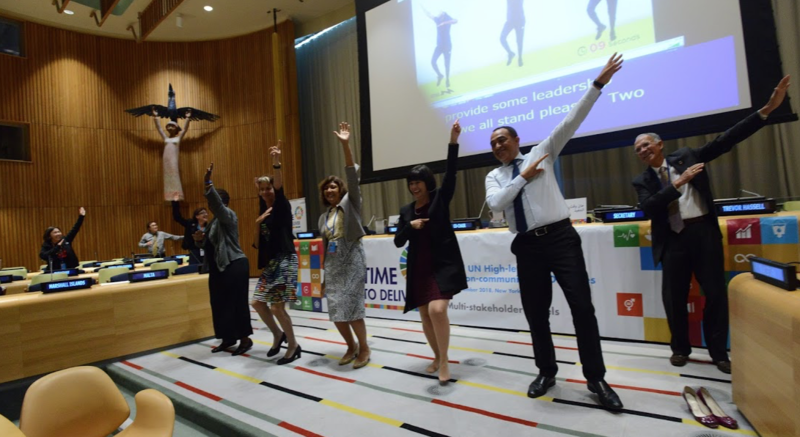 The week of the UN HLM also featured over 100 side events, many of which were focused on NCDs, and several key initiatives and resources were launched.